No more parking problems at your favorite surfspot! Good for you- good for the planet! 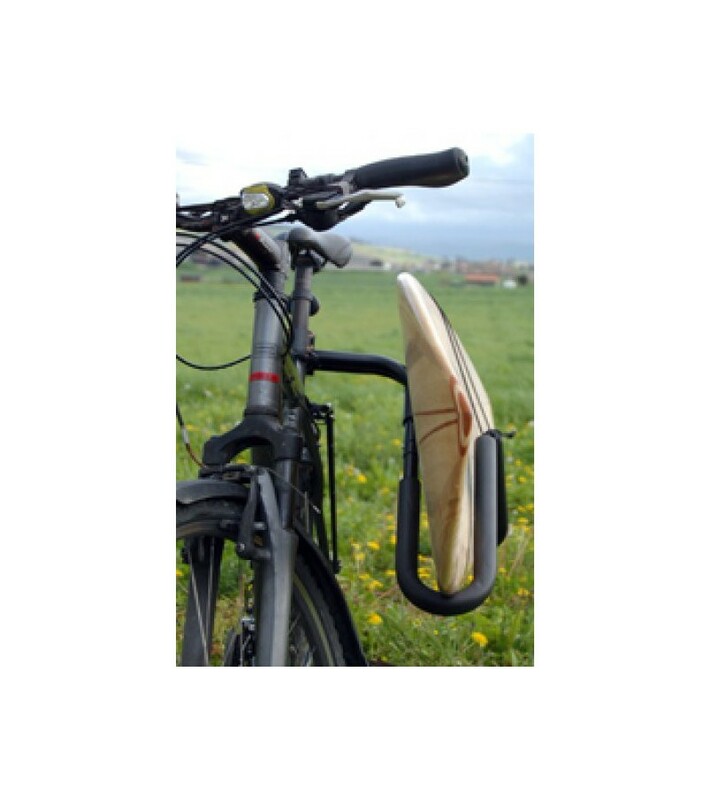 This Handmade surfboard bike rack system is mounted on the side of your bike. It fits for Surfboards up to about 8'0". Comes with mounting and installation tools. It is easily mounted to your seat post and fits to bikes with posts from 25mm-32mm. Made from High Strength Alloy/Aluminum Welded Construction.